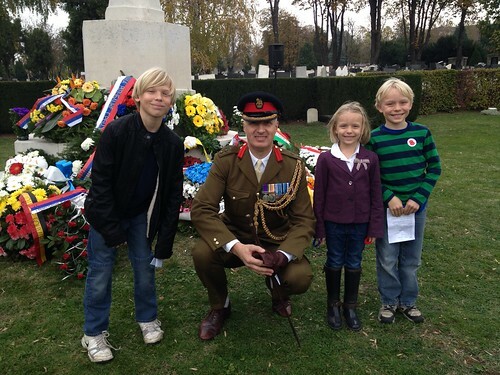 Last weekend we observed Armistice or Remembrance Day with a ceremony at the Commonwealth War Cemetery in Belgrade. Nadia participated in the ceremony as part of the International Choir of Belgrade. It was a good educational experience for the kids. It was sad thinking of the 453 lives lost when looking at the graves. Many of them young men in their 20s, killed in World War II. The Commonwealth War Graves Commission had a short history of the cemetery. The cemetery was created to receive the remains of British and Commonwealth casualties brought in from more than sixty small burial grounds and from isolated sites all over Yugoslavia. The largest number from any one place came from Milna Military Cemetery and the Royal Naval and Harbour Cemeteries on the island of Vis (Lissa) which was our base. The burials in the War Cemetery include escaped prisoners of war from Italy and Greece. The civilians buried here include a mining technician, a teacher of English, a newspaper correspondent, a member of the Embassy staff and the child of another member of Embassy staff. They were buried or re-buried in the cemetery by permission of the Army Graves Service. The kids are shown above with a British military office in front of the memorial. Several Embassies were represented at the ceremony and laid wreaths at the foot of the memorial statue. Also last weekend we attended the Marine’s Ball. It marks the 238th anniversary of the founding of the US Marines. It was held at the Metropol Hotel in downtown Belgrade. There is a small marine contingent that guards the embassy stationed in Belgrade. There were speeches and military ceremonies, and then our favorite Belgrade band, Makao, entertained everyone, military and civilians alike. 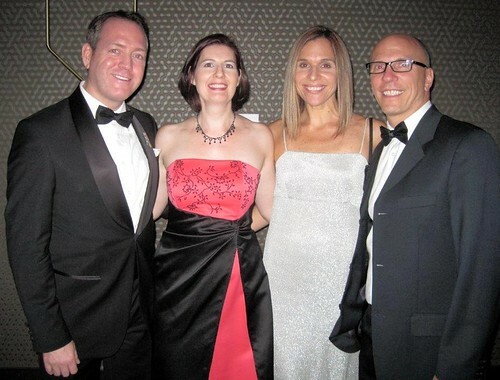 We are pictured below with our friends, Kevin and Laura. 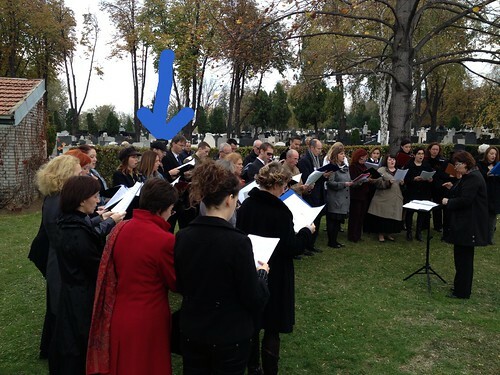 Nice to read about your ceremony at the commenwealth war grave cemetery in Belgrade. My uncle an RAF pilot and his crew of four are buried here. I am paying my first visit in April just after the 70th anniversary of them being shot down. Nice to see that they were remembered.